Despite ongoing societal progress with regard to racial equality across all areas of society, notable disparities remain in the level of health care black, Hispanic and other ethnic groups receive when compared with non-Hispanic whites, a U.S. Department of Health and Human Services fact sheet detailed. All nursing professionals need to have a nuanced understanding of the major factors driving these inequalities, in order to play a more prominent position in the fight to implement systemic change. Huffington Post journalist Erin Schumaker explained that while racial disparities in the health care field have always existed in the U.S., the problem first gained widespread attention after a report released some 15 years ago by the Institute of Medicine (IOM) revealed troubling findings: Racial and ethnic minority citizens, especially black Americans, are more likely than white patients to receive substandard medical care, leading to poorer health outcomes. A literature review of the IOM’s report, “Unequal treatment: What healthcare providers need to know about racial and ethnic disparities in healthcare,” elaborated on the above problem. The review explained how researchers from the IOM survey discovered that, after assessing multiple separate studies, racial minorities are considerably less likely to receive medical care when needed and that when they do, the care tends to be inferior in quality. The review stated that IOM researchers found that these disparities were evident in every sector of health care, including across a range of chronic illnesses. For example, white patients with diseases such as cancer, HIV and diabetes were more likely to receive comprehensive and effective health care than their minority counterparts with the same conditions. Schumaker noted that these disparities remain today, an assertion that is supported by evidence from an array of recent studies collected and analyzed by the Huffington Post. The collective analysis of multiple research projects revealed that not only do racial and ethnic minorities receive poorer health care, but they also are at higher risk of developing a number of conditions, including HIV and certain forms of cancer. Outcomes in terms of mortality rates also tend to be poorer for racial minorities. For example, Schumaker commented on a previous Huffington Post report focused on breast cancer survival rates between black and white women. The study found that white women experience notably higher five-year survival rates when compared with black women — the difference being 92 percent to 79 percent. Another study highlighted by Schumaker pointed to vast racial disparities in the contraction of HIV. The research found that white individuals are nine times less likely to receive an HIV-positive diagnosis when compared with Hispanic and African-American individuals. Illustrating the disparity further is the finding that black and Hispanic citizens made up some 50 percent of all HIV diagnoses in the year 2010.
still experienced by Hispanic and black people. The authors cited statistics finding that racial minorities are more likely to be employed in lower paying jobs without access to more comprehensive health insurance packages. Minority groups also experience higher levels of unemployment, which can again hinder access to high quality health care. But as Schumaker noted, the issue is more complex lacking access to health insurance. Staying healthy necessitates a certain level of comprehension with regard to basic health concerns, whether that’s spotting symptoms of certain illnesses or taking preventative measures such as exercise and eating a balanced diet — this is understood as having proficient health literacy. For individuals from lower socioeconomic backgrounds, however, access to that kind of education is more limited. According to a Talk Poverty report, 21 percent of Hispanic people and 24 percent of African Americans live below the national poverty line, making the connection between the lack of access to educational resources and poorer health outcomes for racial minorities clear. As the literature review of the IOM report stated, studies have indicated that even when access to resources is even — when minorities have the same level of insurance, for example — they still receive health care that can be regarded as subpar when compared with the level of care provided to non-Hispanic whites. A viable explanation for this difference is the persistence of racial bias and discrimination against minorities within the health care sector, notably bias that is unconscious in nature. According to an article from researchers Irene V. Blair, John F. Steiner and Edward P. Havranek that was published by the U.S. National Library of Medicine, although there is little empirical research into the problem, some studies have indicated that implicit bias likely plays a key role in the way that non-Hispanic white health care providers treat patients from minority racial groups. In this context, implicit bias is understood as a racial bias possessed by individuals who are unaware that they have it. Implicit bias, therefore, works to influence and determine individual perceptions with regard to members of other racial groups. This bias differs from overt or explicit racial bias, wherein people consciously understand that they subscribe to racist ideology. Given that implicit bias is unconscious, it is extremely difficult to tackle in a proactive way. In a literature review published by the National Academies Press, the writers stressed that little to no research has been produced exploring health care outcomes in relation to implicit bias. The authors did point out, however, that several studies have indicated that a patient’s race or ethnicity can influence how health care providers perceive the individuals they are treating. This, in turn, can impact how seriously the concerns articulated by the patients are taken by their providers. For example, the article referenced a study from Schulman et al, which examined referral rates for a cardiac procedure. The study involved actors, with male and female patients played by both white people and African American people. The results revealed that the doctors in the study referred black women for a procedure at considerably lower rates, even though they complained of the same symptoms. The referral rates for white men and women and black men were comparable. These findings perhaps point to the way that race, and in this case gender, can influence a health care provider’s perception of a patient and the nature and severity of the symptoms she or he describes. The literature review’s authors cited another study that found that a control group of physicians were more likely to hold negative preconceived opinions about black patients based on stereotypes: They reportedly believed that black patients were more willing to ignore medical help, had higher levels of drug abuse and were less intelligent. While the effects of this bias in terms of tangible health outcomes is unclear, it could be argued that implicit racial bias negatively affects patient and physician relationships, to the extent that it may hinder the level of care racial minorities receive. The above driving factors for racial disparities in health care are by no means comprehensive — other facts such as linguistic and cultural barriers also must be considered. 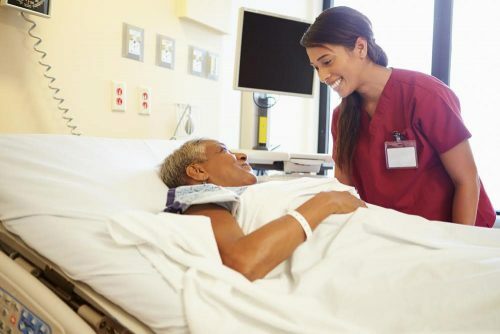 Still, nursing staff need to recognize the problems that racial minorities have in accessing health care and then receiving care that is free from bias.